Step 1 Combine the flour, sugar and salt in a bowl. Cut the butter into the dry ingredients. Mix until the texture resembles cornmeal. Add the egg. Step 2 Using your hands (floured if necessary), combine and gently knead the mixture, folding end over end until the dough is smooth. Step 3Let the dough rest for 15 minutes. Step 4Roll the dough out on a lightly floured surface to one-fourth-inch thickness. Place the dough over a 9-inch tart pan and carefully fit it into the pan. Trim the edges. Using a fork, carefully prick the bottom crust. Refrigerate the crust for 10 minutes. In Recipes-list.com we have selected the most viewed recipes from category - Desserts . Enjoy the best recipes specially selected for you! 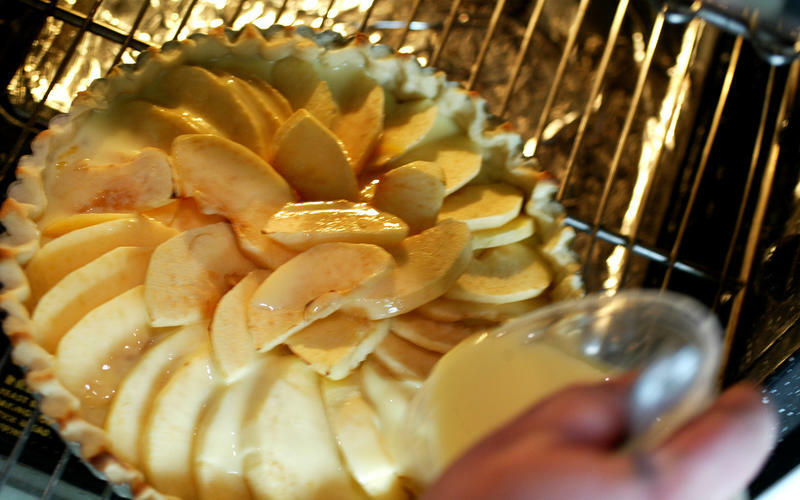 Apple tart is the right choice that will satisfy all your claims.